Criccieth Town Website, hotels, bed and breakfast, restaurants, cottages, holidays, vacations. Visit Criccieth for holidays and vacations in hotels, bed and breakfast, guest houses, cottages and caravans, all set in the glorious Snowdonia area of Wales. 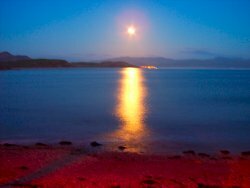 Our beautiful town of Criccieth is situated on the Llyn Peninsula in North West Wales and is known as "The Pearl Of Wales On The Shores Of Snowdonia". This is a rather apt description of the town that has vistas to rival those found anywhere in the world. 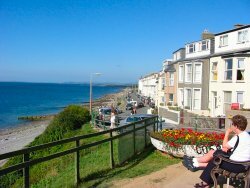 Criccieth is an ideal location for holidays and vacations to suit all. Come to North Wales, come to the historic town of Criccieth. For a welcome message from Criccieth Town Council click here. Hotels, guest houses, self catering, bed and breakfast, cottages, caravan and camping, Criccieth has what you are looking for. We have an abundance of accommodation from small B & B’s to luxury hotels. If you want a hotel with a sea view or a caravan in the hills we have accommodation to suit you. This section contains all the information you need to enjoy a visit to Criccieth. Details of what you can do and where you can go, Snowdonia, Portmeirion, Ffestiniog Railway, historic castles, gorgeous beaches, fantastic golf courses, abundant sports facilities, walking, cycling or just relaxing. 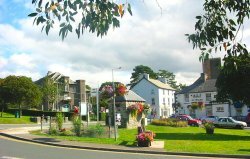 This section gives you all the information you need to have a most enjoyable stay in our beautiful town of Criccieth and the magnificent countryside that surrounds us. 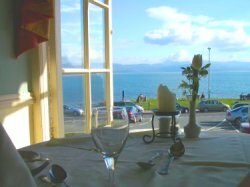 Eating out in Criccieth is an absolute pleasure. We have traditional tea rooms, gourmet restaurants, cafes, bar meals, ethnic dining, takeaways, in fact if you want it we have probably got it. Stroll along the promenade with fish and chips or dine on gourmet food in fine surroundings, take an afternoon tea in the sunshine or sample the local seafood, the choice is yours and there is plenty of choice. Criccieths existence arose in about 1230a.d when the first part of the castle began to take shape, some 30 years later the castle size doubled with the addition of another wall and tower. In the early thirteenth century Criccieth was little more than a church and a few houses beside the newly erected castle. In 1239 it is mentioned as being the prison of Gruffydd son of Llewelyn the Great. 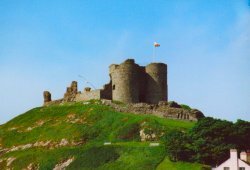 In 1282 at considerable cost Edward I conquered the land and maintained his grip on it by building a series of strong castles, it is clear that he repaired Criccieth castle as a link in the chain of these castles. For more Criccieth History follow the link above. In the community section you will find a wealth of information about, and for, our Town and its people. Read about our award winning Cricceth in Bloom flower displays, catch up on local gossip with our message board, see what our local charities are up to. Find out where schools and sports facilities are, have your say on our regular poll, and much much more. These pages are open to all so have a look. Visit our photo gallery to see more pictures of our wonderful Town and the surrounding area. This has to be one of the most beautiful parts of the World and is a photographers dream, if you have any good pictures of the area and would like to see them in this gallery then please contact us. As well as the usual shops you would expect in a town of this size Criccieth also has an interesting selection of shops offering a unique shopping experience. 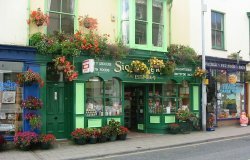 Once you have had enough sightseeing or sunbathing then take a walk along our High Street with its amazing floral displays and while away some time browsing for gifts to take home, or for something special to remind you of your time in Criccieth. For a fairly small town Criccieth is well served by local businesses and services. 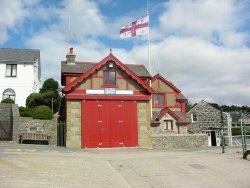 Whatever you require Criccieth can supply it, be it plumber or electrician, web site designer or computer engineer, solicitor or accountant, or any other service you require.